Sending Christmas cards is a long-standing tradition for most Canadians, but did you ever wonder where this tradition originated? It all began in the early 19th Century England. It was common for British students to write home to their families shortly before the Christmas season in an effort to share their accomplishments from the term, show off their penmanship, and perhaps persuade their parents that they were deserving of a good Christmas gift. The students often embellished the letters with artwork and fancy letters to bring cheer and in the hopes of being rewarded. These would sometimes be accompanied with letters to Santa. 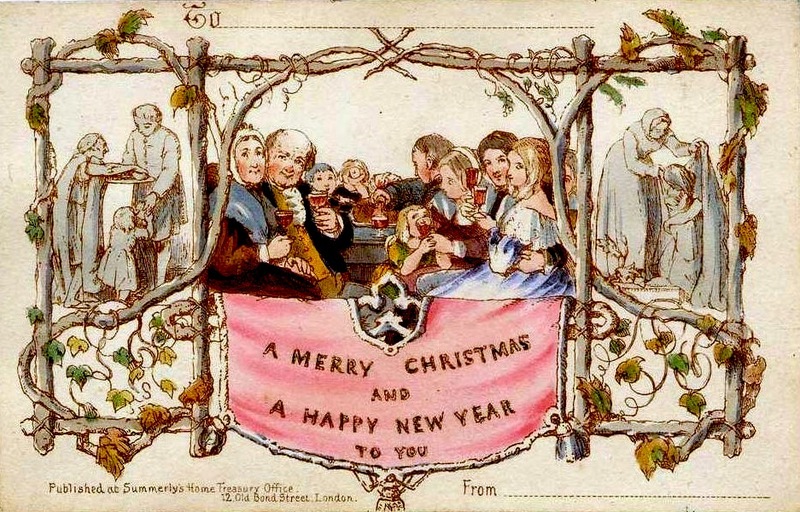 The true Christmas card, that is widely used and marketed in current times, was born shortly after the introduction of the penny post. A card designed for Sir Henry Cole, made by J.C. Horsley ( a member of the Royal Academy) sold one thousand copies. In the years that followed, billions of copies were printed and sent, and thus, a tradition was born. The introduction of e-cards and e-mail has certainly impacted the industry and tradition of sending hand delivered mail. But we believe that it is a tradition worth holding on to. There is something to be said for receiving a special card in the mail and tucking it away in a box to look at again and again. It’s a memory you can hold in your hand, and that act of giving is, to us, what Christmas is all about.